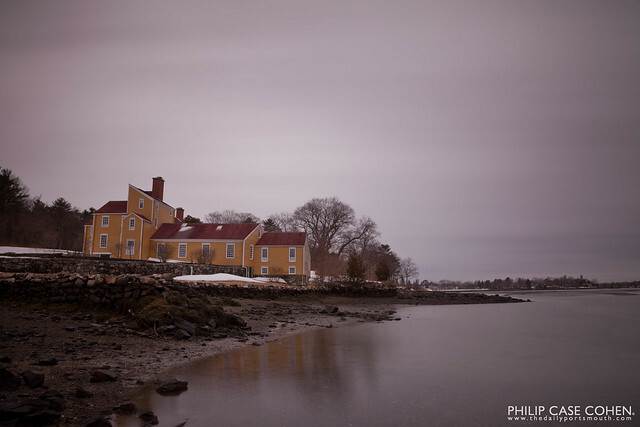 This long exposure of the Wentworth-Coolidge Mansion carries with it the last trace of winter with a couple piles of snow adorning the grounds on the waterfront home. With the return of warmth on Friday, and longer days, spring is definitely around the corner. This was another experiment in seascape long exposures with the 10-stop neutral density filter. While I love the soft colors of the sky and the serenity in the scene….there’s many more colorful sunsets/sunrises waiting for exploration once I get the hang of it. In keeping with some variety – I hope to get some interesting material up over the next few days…so stay tuned!